Forget the winter blues and dress up your nails with beautiful cool colors and designs. 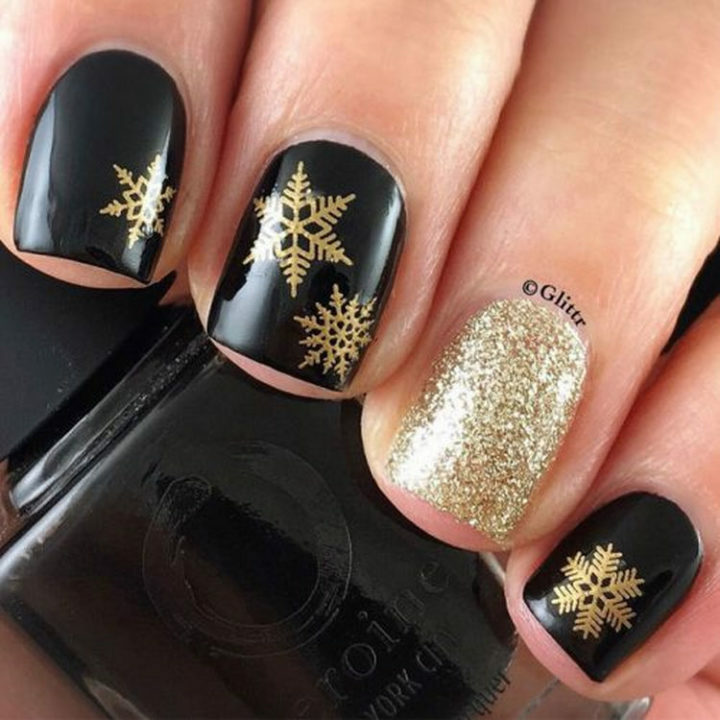 Here are 17 winter nail designs and nail art ideas to brighten up your winter season. 1) Silver glitter with a striking accent nail. 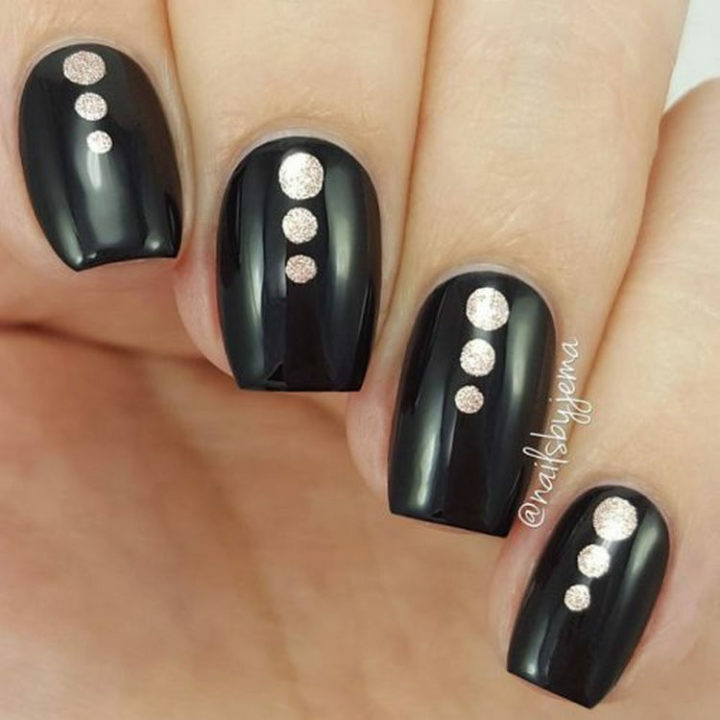 2) Black and rose gold dots that look so chic! 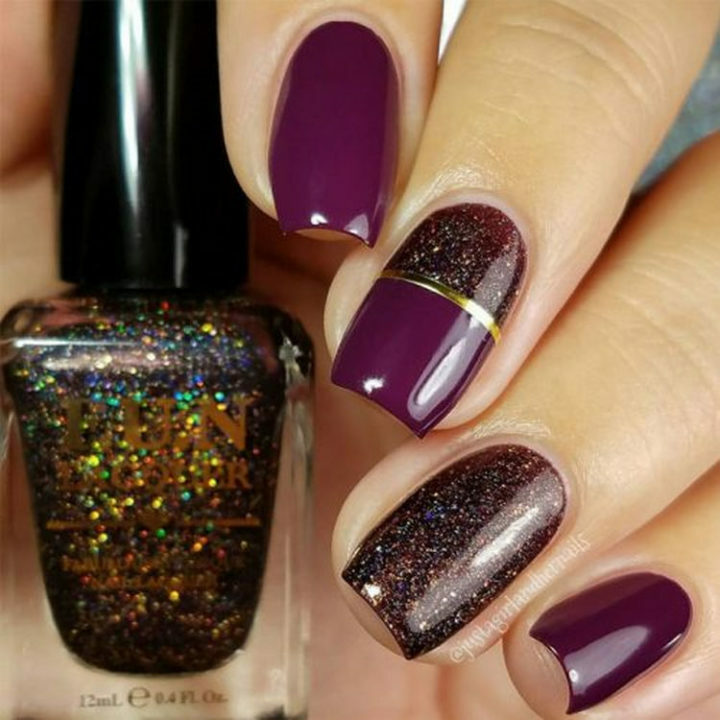 3) Burgundy nails that are super glossy and look great with any winter outfit. 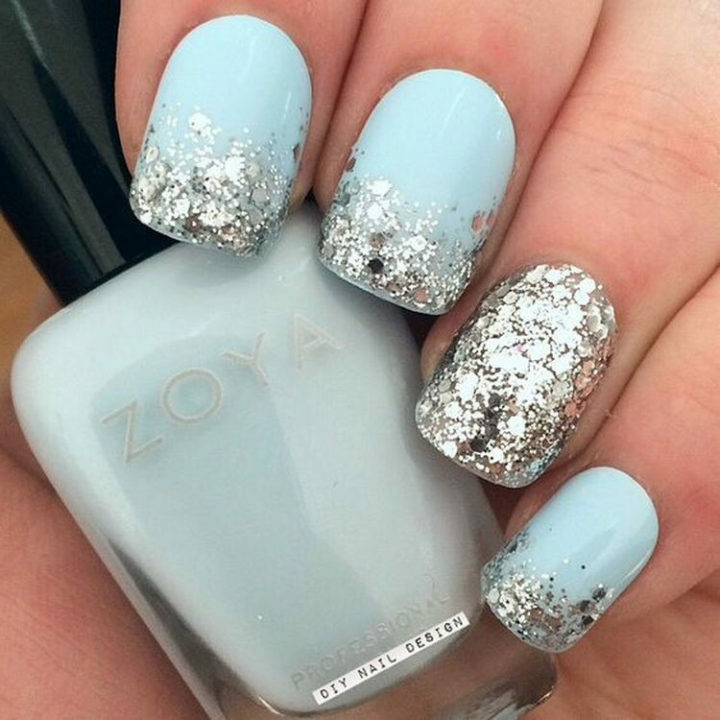 4) Cute winter nail designs that shimmer and shine. 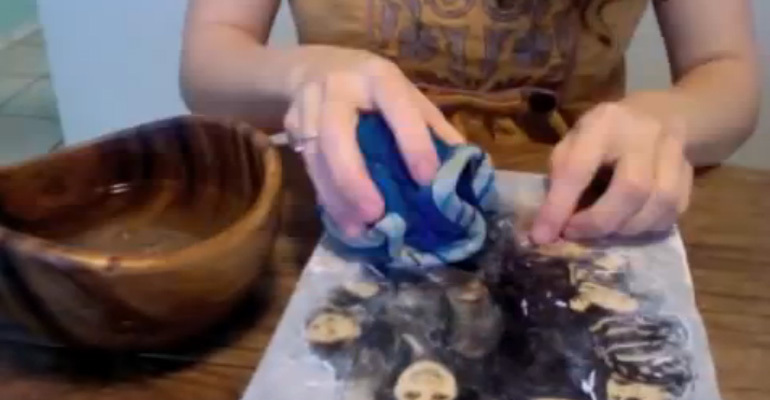 5) Creative sweater nail art design. 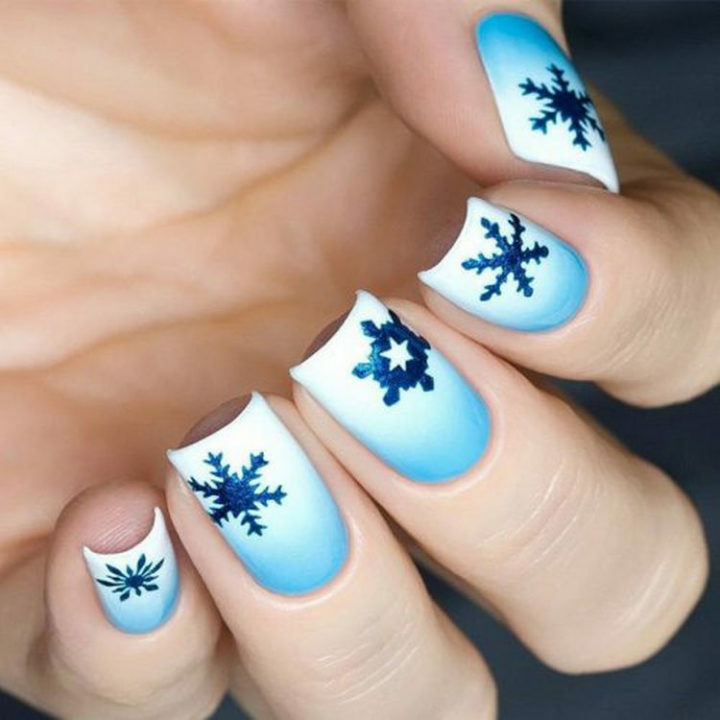 6) Cool winter nails that are as pretty as a snowflake. 7) Snowflake manis always look great and these winter nails are g-o-r-g-e-o-u-s.
8) Cool blues and silver and gold never looked better. 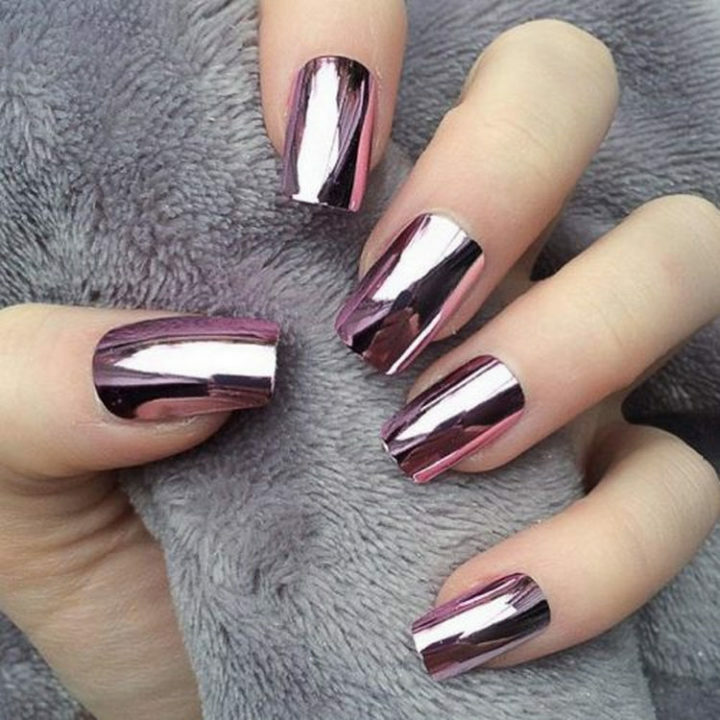 9) Winter chrome nails that are edgy and sleek. 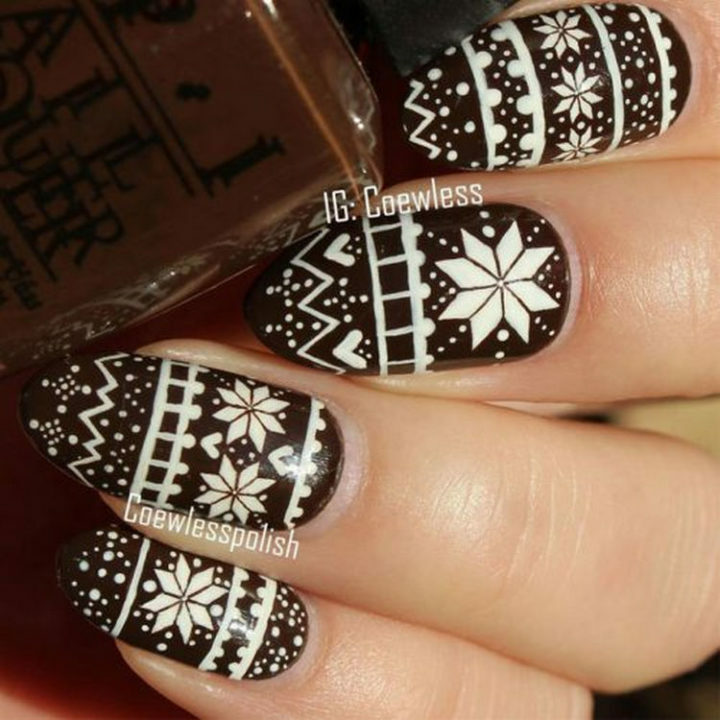 10) A winter mosaic of colors with a striking stained glass nail art design. 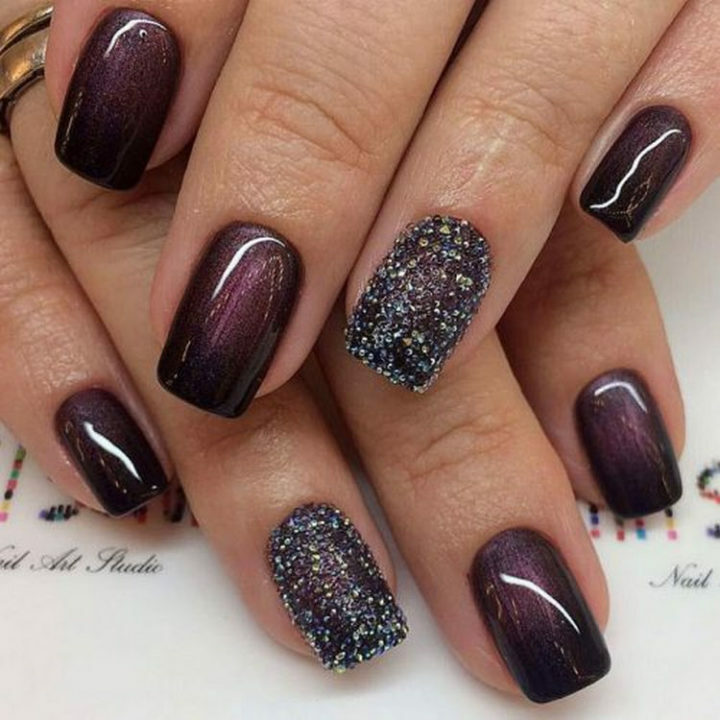 11) Edgy purple nails with just the right amount of glitter. 12) Simple but elegant winter nails that are simply lovely. 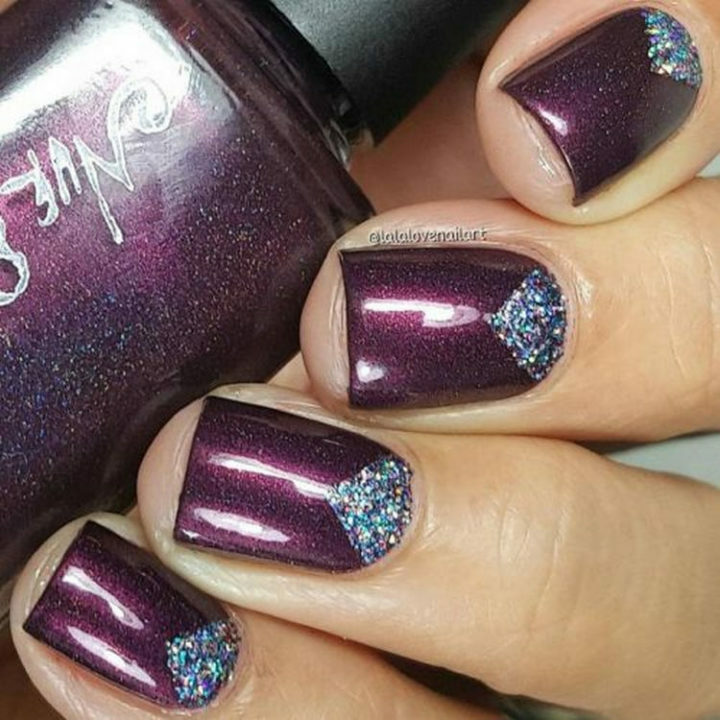 13) Easy glitter cuticle nails that are rockin’ it! 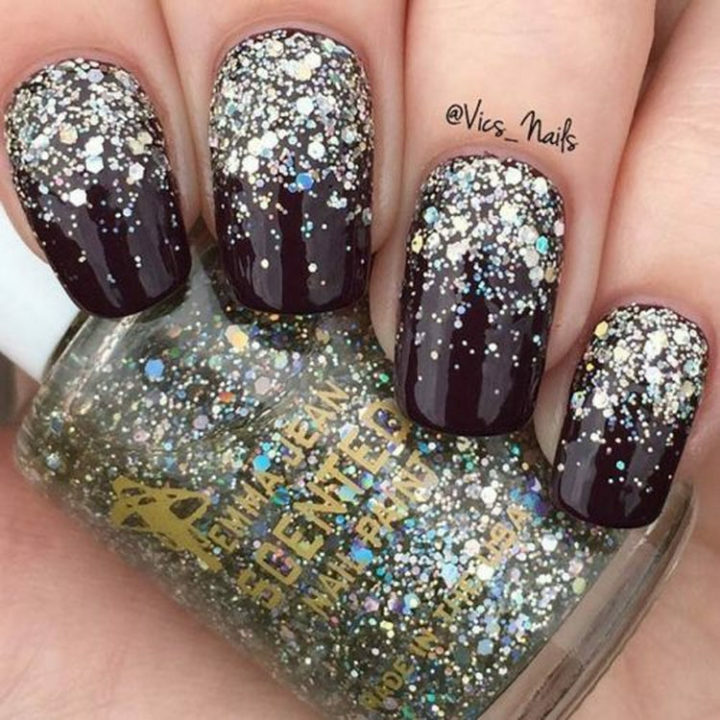 14) A glitter gradient for perfect winter nails. 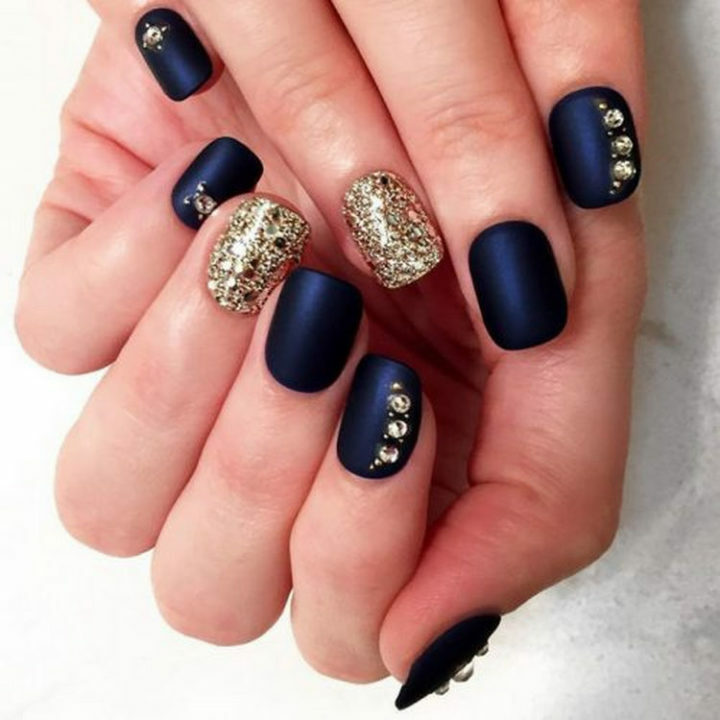 15) Beautiful winter nail art design where glitter and matte come together. 16) Black nails are always a classic look for winter. 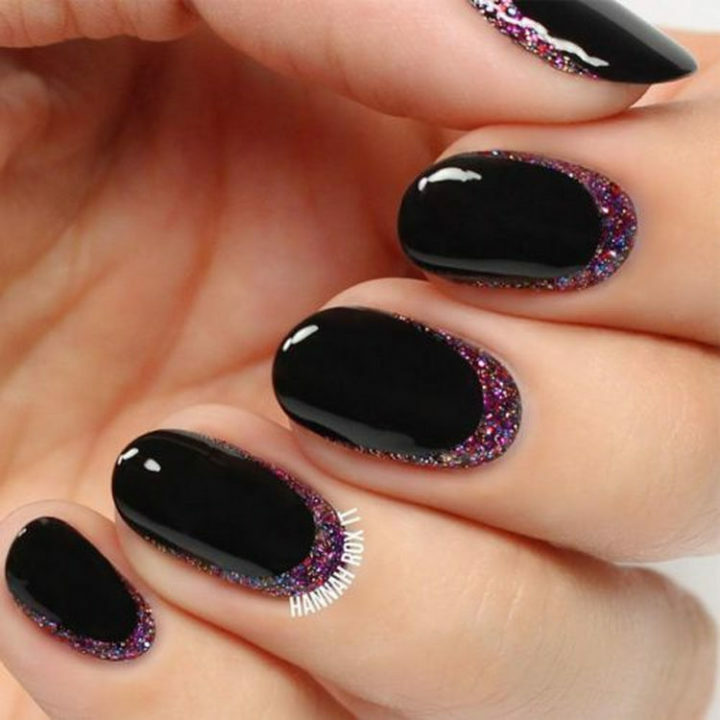 17) Trendy nails that are simply mesmerizing. Cartoon nail art designs inspired by Saturday morning cartoons. 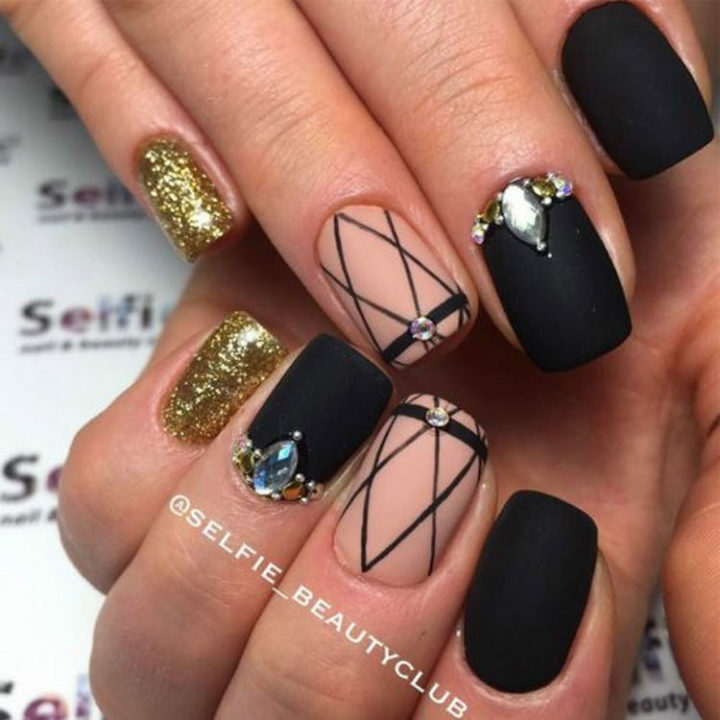 Reverse gradient nails will add some sparkle to your life. 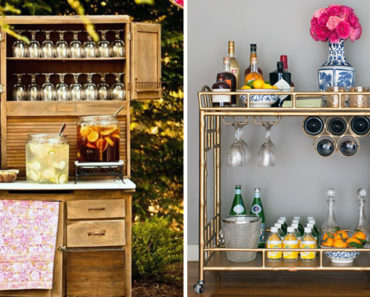 Quick and easy ways to save a chipped manicure. 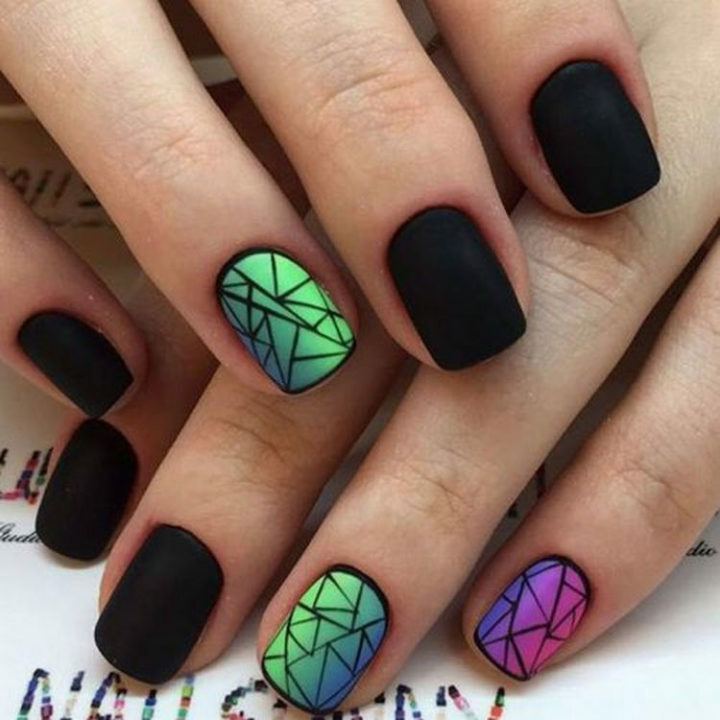 Stunning matte nails that are anything but flat. Ombré nails that bring gradient nails to a whole new level. 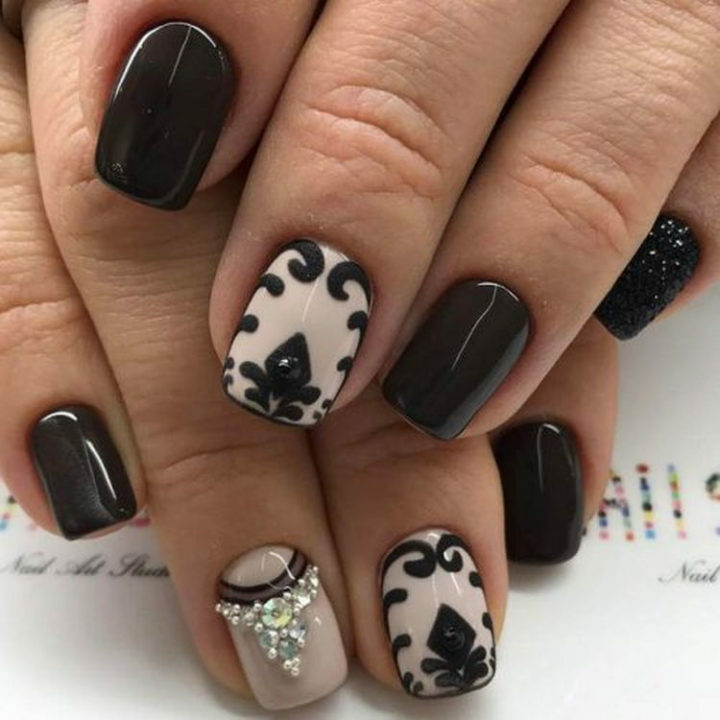 Please share these amazing winter nail designs with your friends and family. 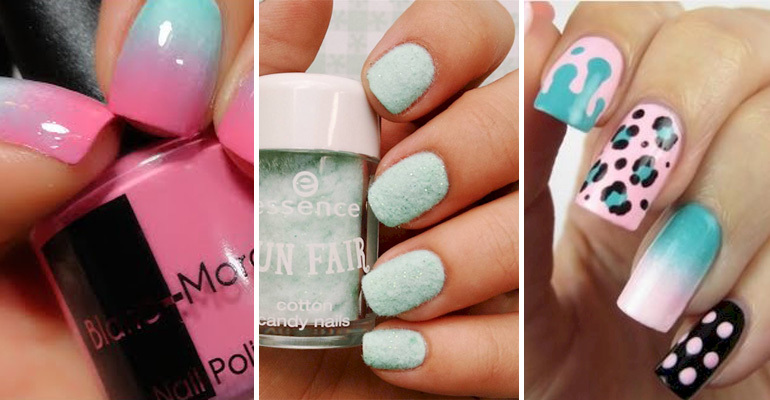 17 Cotton Candy Nails That Look so Sweet They Will Bring out the Kid in You. #4 Looks Yummy!